- Thrilling adventure with a deep story that captivates from beginning to end. "...This game combines: Ultra HD graphics with clever puzzles and a captivating story line that will keep you busy for hours. What else [could] you want from a game?" 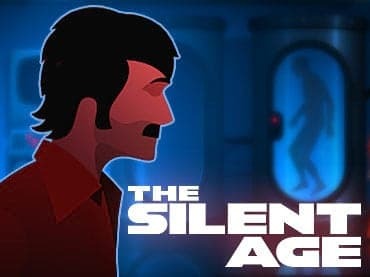 "The Silent Age reminded me of how relaxing and fun games can be when done right." "...It's a great story overall, one filled with clever subplots that explore aspects of political philosophy and time travel paradoxes." If you have questions about The Silent Age game, please contact us using this form.